Near the end of the autumn a snowstorm moved in coating the forest in a blanket of white. As I climbed the Bierstadt Moraine the following morning, low-lying clouds were still moving in and out of the trees bringing with them short but intense bursts of snow. 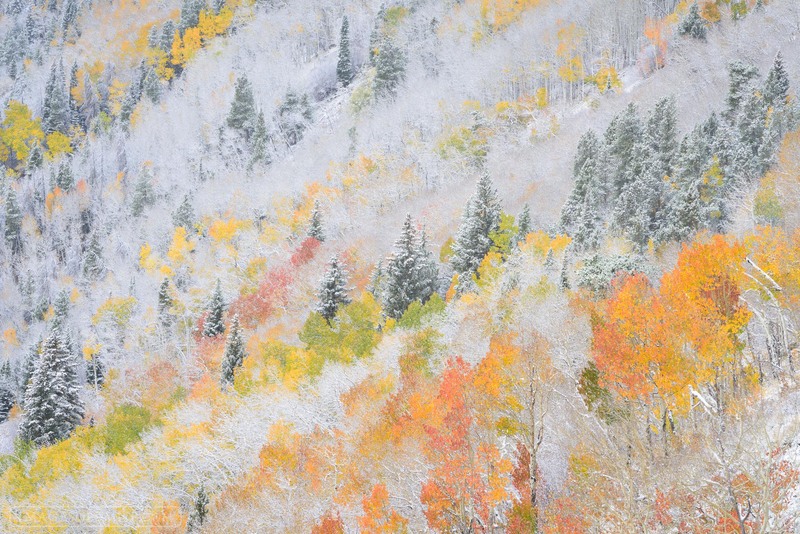 This dynamic weather created a painterly quality to the scene and allowed the remaining aspen to gloriously display their colors. Photo © copyright by Erik Stensland.